This page is for random pictures or events attended by our MVT SEM members Please send your contributions to the webmaster (address on the Contact page). There were four entrants in the area’s Top Traveller Trophy for the most miles covered in an MV to and from shows in 2018. 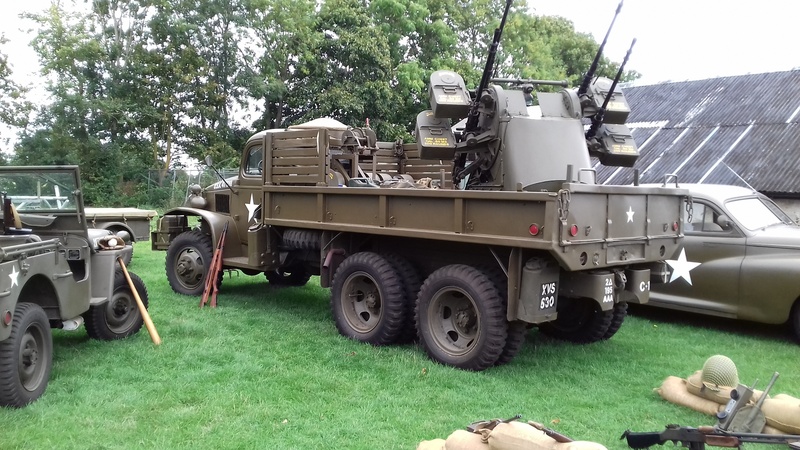 Fourth was Neill Elliott (Dodge Weapons Carrier) with 55 miles, third Peter Clarke (Land Rover Lightweight) with 1,024 miles, second Brian Rive (Jeep) with 1,151 miles. Winner was Ian Gardiner (GMC) with 1,845 miles, most of them on the Red Ball Express run. 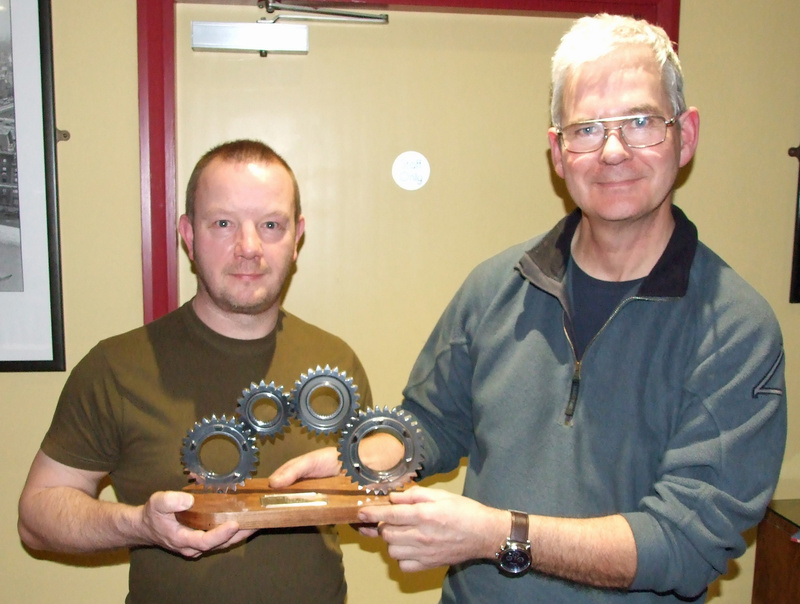 Pictured is area secretary Neill (right) presenting the trophy to Ian, who made it from Jordan Grand Prix gearbox parts. Can you spot the dummy?